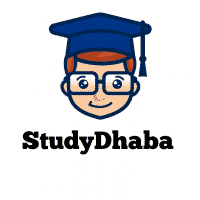 Ayushman Bharat national health protection Mission -AB-NHPM pdf – Hello Friends Welcome to studydhaba.com . Here Is the latest Government program from Central Government of India . This program is Approved by Prime minister Chaired meeting in new Delhi . Lets talk About this new program from Central government of India . Ayushman Bharat -National Health Protection Mission (AB-NHPM) having central sector component under Ayushman Bharat Mission anchored in the MoHFW. The scheme has the benefit cover of Rs. 5 lakh per family per year. The target beneficiaries of the proposed scheme will be more than 10 crore families belonging to poor and vulnerable population based on SECC database. This cover will take care of almost all secondary care and most of tertiary care procedures. To ensure that nobody is left out (especially women, children and elderly) there will be no cap on family size and age in the scheme. The benefit cover will also include pre and post-hospitalisation expenses. A defined transport allowance per hospitalization will also be paid to the beneficiary. The expenditure incurred in premium payment will be shared between Central and State Governments in specified ratio as per Ministry of Finance guidelines in vogue. The total expenditure will depend on actual market determined premium paid in States/ UTs where AB-NHPM will be implemented through insurance companies. In States/ UTs where the scheme will be implemented in Trust/ Society mode, the central share of funds will be provided based on actual expenditure or premium ceiling (whichever is lower) in the pre-determined ratio. AB-NHPM will target about 10.74 crore poor, deprived rural families and identified occupational category of urban workers’ families as per the latest Socio-Economic Caste Census (SECC) data covering both rural and urban. The scheme is designed to be dynamic and aspirational and it would take into account any future changes in the exclusion/ inclusion/ deprivation/ occupational criteria in the SECC data.